About thirty years ago, when I started keeping honey bees, I bought a plot of rather soggy land, laid in drainage pipes, dug a pond and planted chestnut, horse chestnut, cherry, and false acacia. 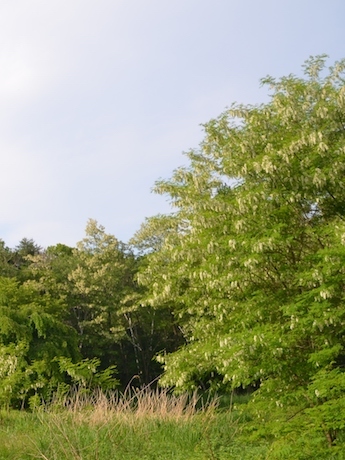 False acacia is native to America, where it is called ‘black locust’ and was brought to Japan in 1873. 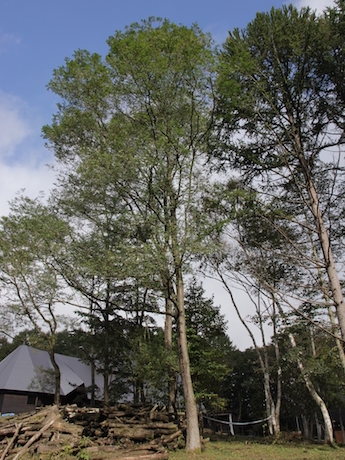 This tree has spread all over Japan, and has been used for afforestation, erosion control and for the production of honey. 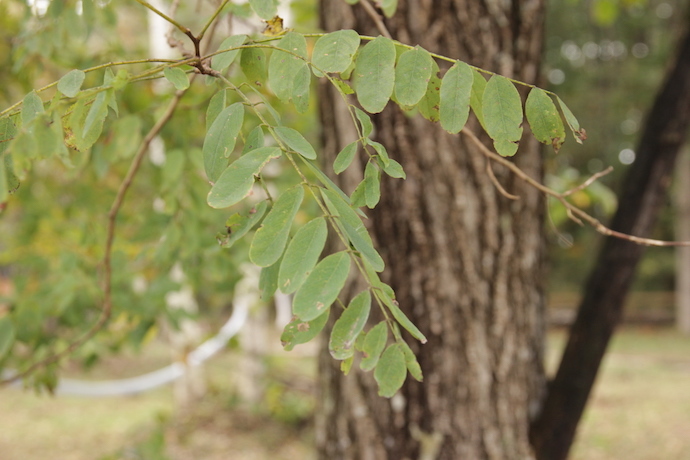 In many areas false acacia is now considered invasive. It certainly spreads, either through seeds or root suckers. We built our horse lodge on this land. Okamura Company designed and produced hardwood furniture for the horse lodge from timber extracted by of horses, also holding workshops for students. We trimmed out almost all of the false acacia trees. We have a fine American wood stove in the lodge, and as I write, we have about two or three years supply of false acacia logs that need to be cut, split and stacked for firewood. False acacia wood is greatly prized in many countries. Apart from being a valuable honey producer, the pale yellow-brown timber is hard, dense and rot resistant, and is used for making furniture, flooring, fence posts and even small boats. Once seasoned and dried it makes excellent firewood. The tree produces beautiful, fragrant clusters of flowers that smell a bit like orange blossom and produce lots of nectar. Each flower has both male and female parts, and they grow into pea-like pods that mature in autumn and stay on the tree until they pop open in early spring. The tree spreads vigorously. Being leguminous, the roots of this tree have a small nodule that fix nitrogen and enriches the soil in which it grows. Unfortunately, although the flowers make tasty tempura, the leaves are toxic to horses, so we will have to keep on cutting them as they grow. 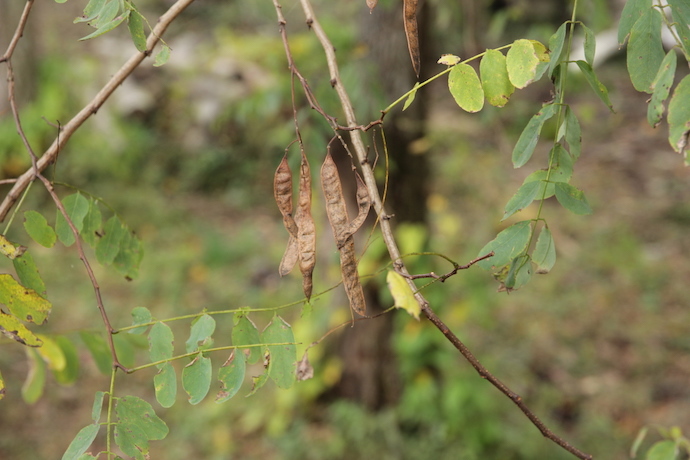 On our horse lodge land we still have a few false acacia trees, but they will be controlled. The chestnut, horse chestnut and cherry trees are growing well and make good shade trees for the horses. We appreciate the blossoms, and bees love the nectar. The chestnuts are delicious, as our local wild boars have discovered. But oh boy, we have an awful lot of firewood to split! Any volunteers?